Located in Prince Georges County just outside of Washington, DC, Lanham-Seabrook is a diverse community with a rich railroad history. During the 1950s, the Lanham-Seabrook area grew to support the employment needs of NASA’s Goddard Space Flight Center, in nearby Greenbelt, MD. With 38 years of experience in the Mid-Atlantic region, Thompson Creek Window Company’s corporate headquarters is located in Lanham, and we know the range of home styles present in the community. As the region’s premier home improvement products company, we understand that replacement windows and doors are a much needed investment in any home – which is why we custom design and manufacture all windows in our local Maryland factory. By using the highest quality materials, your replacement windows and doors are designed to improve your home value and reduce energy costs. Because we work exclusively in the Mid-Atlantic region, we’re acutely familiar with the area’s diverse weather conditions and build our replacement windows accordingly. In fact, our replacement windows are AAMA-tested to withstand winds up to 146 miles per hour. Our windows exceed the the 2018 ENERGY STAR® criteria, helping to keep your home cool in the summer and warm in the winter – cutting your utility bills throughout the year. When you work with Thompson Creek, you work directly with our factory-trained experts who will help you select the window styles that fit your home (and perhaps your HOA requirements! ), build your custom products and install them to fit the exact dimensions of your home. When Thompson Creek opened its doors in 1980, it did so with a commitment to 100% customer satisfaction. We also offer a warranty covering up to 50 years on all Thompson Creek® doors and windows. If you’re looking for replacement doors and windows in Lanham-Seabrook, look no further than Thompson Creek. Contact us today to learn more about our vast options, and get a free, no obligation quote and start your next project for a more beautiful and energy efficient home. Just like our windows, Thompson Creek® replacement doors are built to your homes style and specifications. They exceed the latest ENERGY STAR® standards, ensuring that your home stays comfortable and your utility bills stay low. 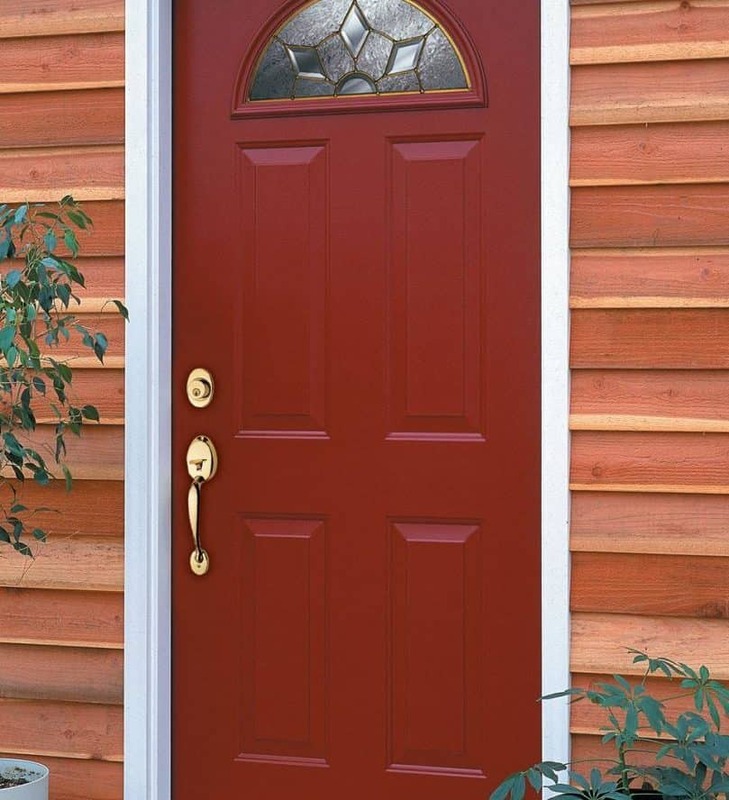 Thompson Creek® doors are among the strongest and most functional doors available to homeowners. They are constructed using the best materials, like 20-gauge steel, reinforced lock areas, and a polyurethane core to reduce energy loss. Our doors also come in a wide variety of colors, patterns, and panels to match your Germantown home’s style and your personal aesthetic. Let’s be honest: a new roof enhances your home’s curb appeal. Your home’s roof accounts for 40% of your homes exterior. Replacing an outdated roof can also increase your homes value with a return on investment of 82.8%. This is on par with a bathroom or kitchen remodeling. Many homes in the Mid-Atlantic feature shingles in combos of grays, browns and greens. But why stop there? Thompson Creek has a wide selection of shingles in unconventional colors like Midnight Blush, Nantucket Morning and Appalachian Sky.